This combination has been a great breakfast on the go (along with a liter of water), and all have been in rotation for a while. Good stuff. 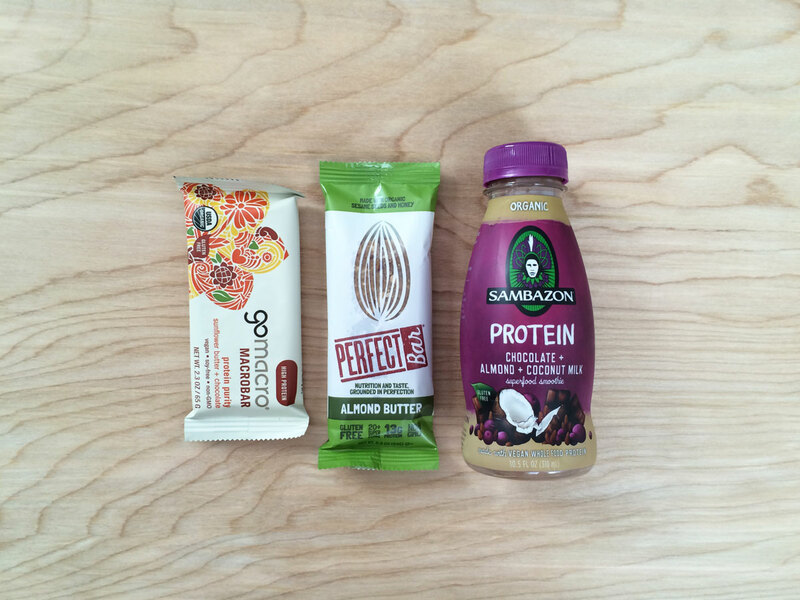 GoMacro Protein Purity, Almond Butter Perfect Bar, and Sambazon Protein Superfood Smoothie. 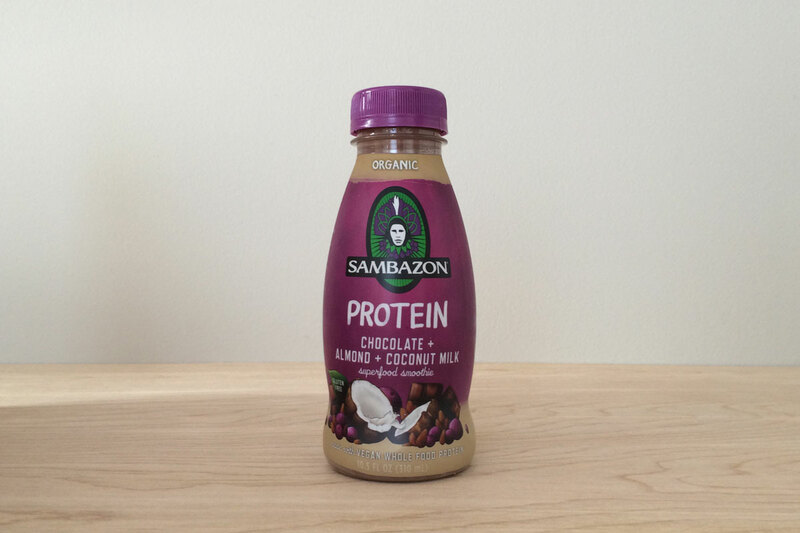 Sambazon Chocolate Almond Coconut Acai Drink.